A native of Wexford, Michael Graduated from University College Dublin in 1977 with a Bachelor of Commerce degree. 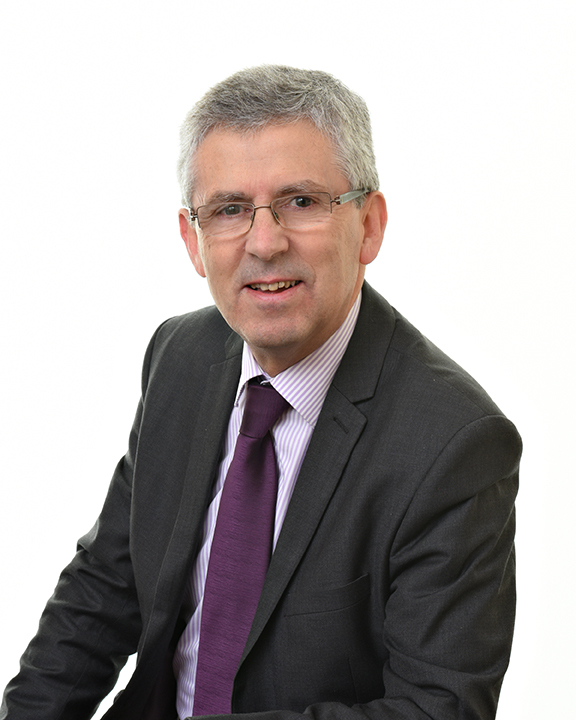 After gaining his initial audit and accounting experience with one of the large Dublin firms, Michael qualified as a member of Chartered Accountants Ireland in 1980. At this point he moved to Enniscorthy to take up a position in Sheil Kinnear. Over the years, due to the diverse nature of the Firm’s client base, Michael has built up a broad range of expertise and experience of various industries. In particular, he has advised clients involved in the construction, manufacturing, hospitality and retail industries. Mentoring clients involved in IT and internet based businesses has been a growing part of his portfolio in recent years. Michael also deals with clients in the Charity and not-for-profit sector. Michael is also involved with a number educational establishments, charitable organisations and community development projects. "Sheil Kinnear acted for my father Gerry McCauley since he established the initial family chemist shop in Enniscorthy in 1953 and subsequently for myself and my wife Leslie when we acquired the business in 1983. They have been an invaluable support ever since and as trusted advisers and auditors were an integral part of our support team in growing and expanding the business to 30 pharmacies. They excelled in providing a prompt and professional service at all times right up to the successful sale of a majority stake in the business in 2017 and continue to provide me with financial management services subsequent to the sale. I have always valued the support and advice they have given me on my business journey." "Sheil Kinnear have been professional advisers and auditors to Wexford Farmers Co-op over a long number of years and during that time have expertly advised and guided us through mergers, acquisitions and re-structure. We have found Sheil Kinnear to be very diligent and professional in their engagement with us and in addition to our annual audit they continue to provide us with guidance and advice on a range of matters including Banking, Taxation and Secretarial compliance issues. " "For me I always appreciated your mentoring support when we started up and did not have any money or turnover. You really helped us get our cashflow statements together as well as getting us to a stage of being CRO compliant and doing annual accounts. We were able to get support on all our tax, VAT and reporting requirements. Even for attaining an overdraft facility from AIB when banks had stopped lending money. Your presence and referral in that meeting added a lot of credibility that definitely helped us secure that overdraft which was important to us at the time. I know that you went above and beyond the call of duty. Since then our scale in size has been no problem for you guys, you have been able to support us now as a $50m company. You have been great in helping us on the recruitment and replacement side too and are always available by phone or email at any time of the day or night. Even if it is a question about personal taxes or compliance you're happy to help." "We have engaged the services of Sheil Kinnear on audit, tax, statutory and related issues for over 25 years. The overall level of service provided is consistently top class, in terms of their in-depth knowledge, the quality and clarity of advice and their speed of response." "When we set up DoneDeal we needed a skilful financial company to help us manage the growth. Sheil Kinnear was a great support from the start. They provided timely and professional services as well as insightful and competent advice. They were also a great resource when we sold the business. We are very happy to recommend their services."